Love this Rose Gold Watch, it is so pretty. I had to remove one link as my wrists are small. I had bought a couple of rose gold rings and this watch goes very well with my rings. I work in an office so I wear this watch every day. 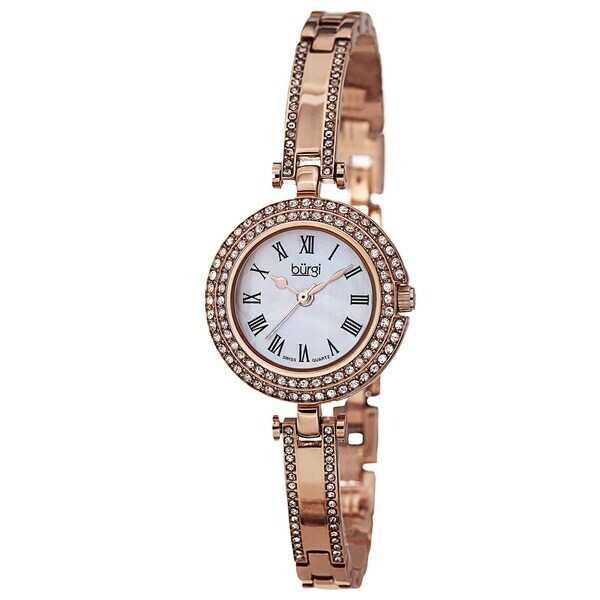 Keep your eye on this dazzling watch from Burgi. The bezel and bracelet are encrusted with genuine crystals for an elegant look. With a mother of pearl dial and a Swiss quartz movement, this watch is sure to make it to your top favorites.